As we’ve discussed in the past, an important part of your overall SEO strategy is your linking strategy. This includes internal and external links within your own content, as well as backlinks, other sites linking back to you. But if you don’t manage your backlinks properly, they can destroy all of your other hard work (or investment, if you’re work an SEO pro). To start, let’s take a step back and look at the type of backlinks your site can get. Organic – These are sites linking to you without you requesting a link. These may or may not be quality backlinks, so you’ll need to pay attention. Editorial – When your business is mentioned in a news story that appears online, many outlets include a link to your website. These are typically good backlinks. Guest Post – As a guest author on another site’s blog, part (sometimes all) of the compensation comes in the form of a link back to your website. Again, these are typically considered good backlinks, particularly if your post appears on a site that’s complementary to yours. Business Profiles – Any time you claim your business on a social media outlet or directory (like Yelp), you can include a link to your site. Many of these are considered “no follow”, but the search engines do see that there’s a link from a well-established site. 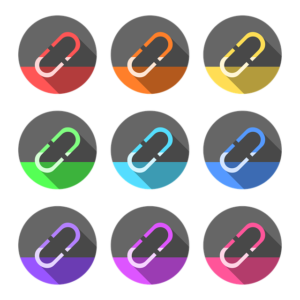 Paid – These are backlinks you buy. This is considered a blackhat practice by the search engines and will negatively impact your SEO. Now when it comes to backlinks, Google focuses on the authority of the website linking to your site. (Domain authority is the measure of the power and quality of a particular domain, and it is figured based on age, popularity, and size.) Spammy sites linking to your site can negatively impact your ranking…even if you have absolutely nothing to do with getting them to link to you. So what are you to do? The first thing to do is to see which sites are linking to you. To do this, go to your Google search console. On the Dashboard, click Links in the left sidebar. Under Top Linking Sites, click More. From here you can see the websites linking back to you. Any low-quality links should be disavowed using Google’s Disavow Tool. Need help? That’s what we’re here for! Contact SBN Marketing using the button below today!